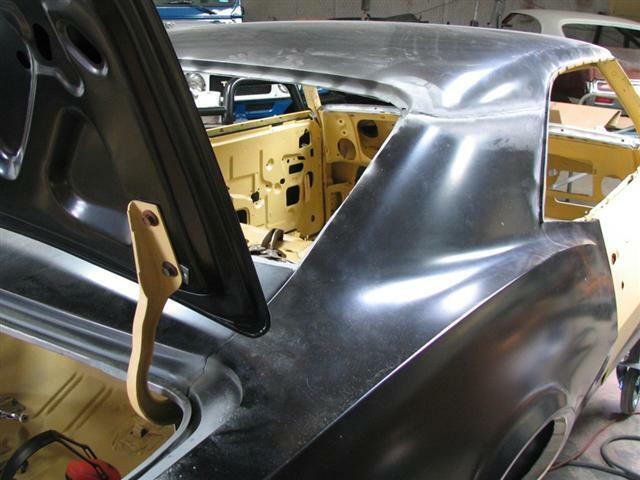 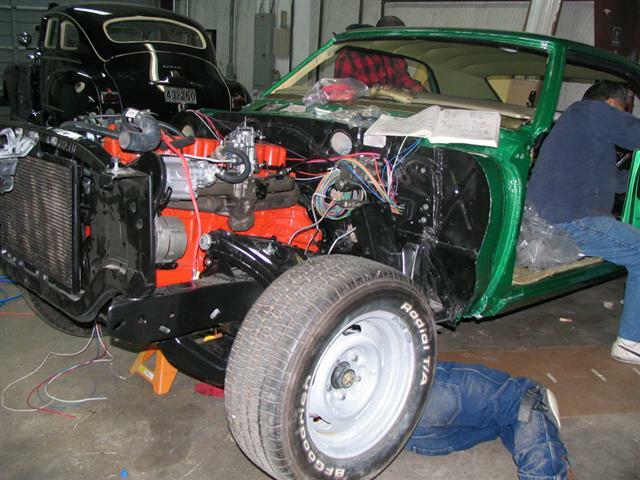 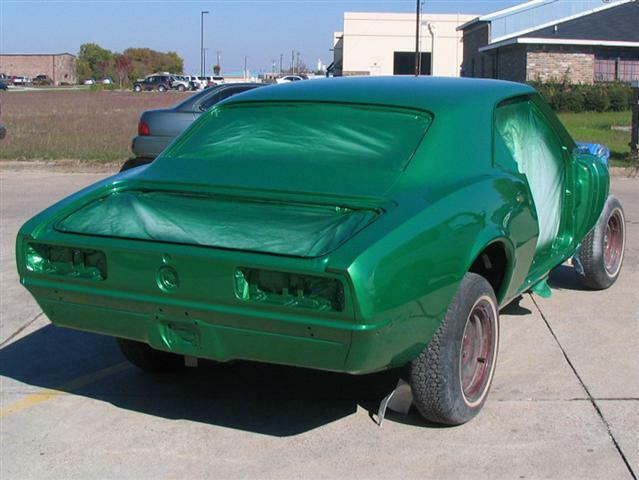 At long last, we have posted photos of our recently completed 1968 Camaro restoration. 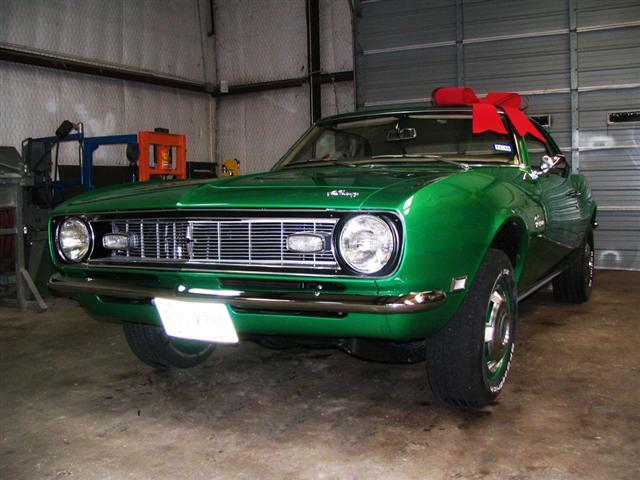 This was a special project presented as a gift to the owner by his family, and we thoroughly enjoyed working on it. 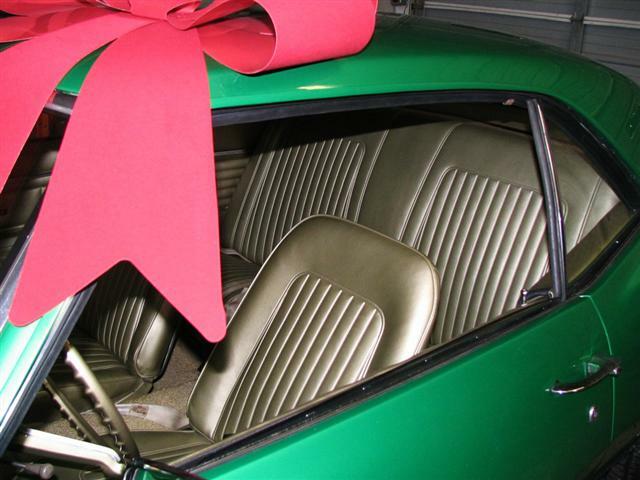 It’s not often you get the opportunity to turn back time for someone; he was delighted to see her looking better than the day he bought her new, 41 years ago. 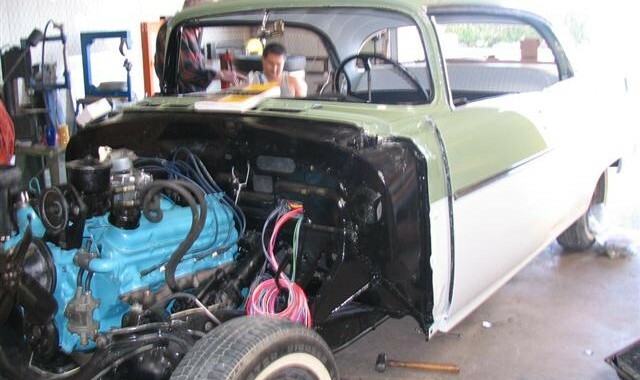 We gave this gave this car a complete overhaul but remained true to the original details, from the color to the 230 inline six. 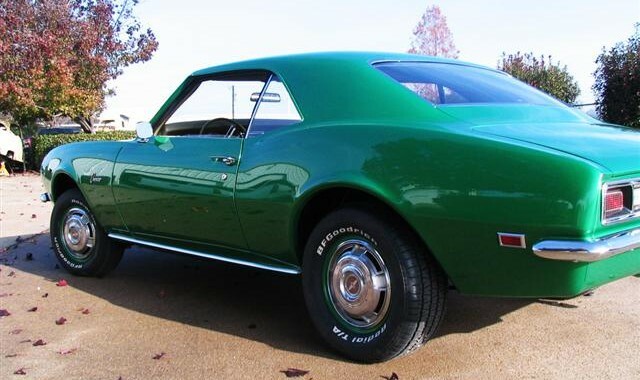 We did up the ante on the paint job, converting the original single stage Rally Green to the matching modern two stage, a PPG Fender guitar color called Eric Clapton Candy Green. 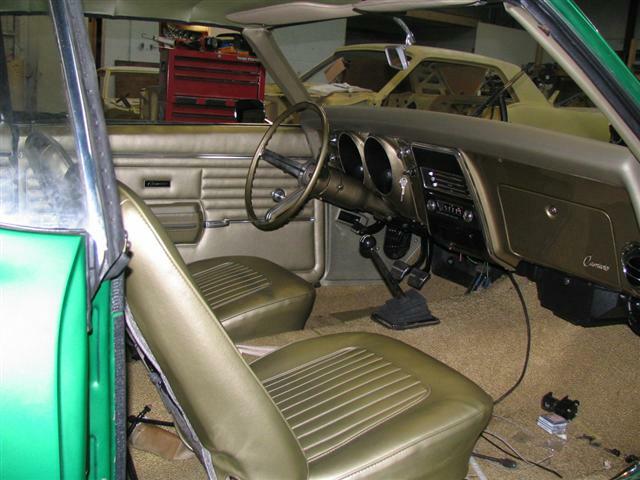 The interior got fresh but genuine Ivy Gold upholstery and trim, and the engine was reconditioned and stroked to 250, a rare build which ads to the museum quality of this project. 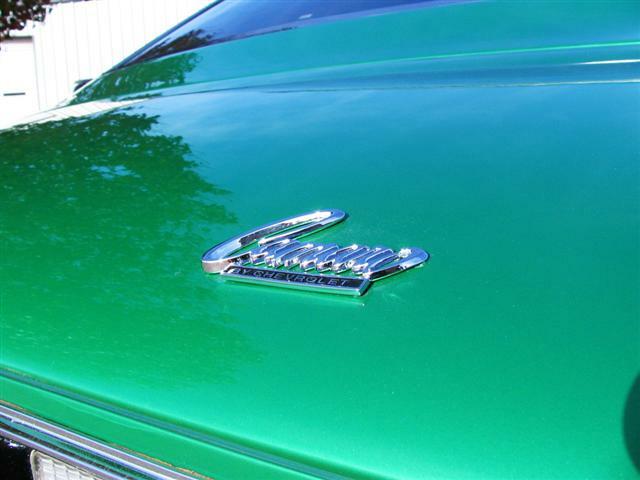 Please enjoy the snapshot of history we worked hard to capture – having customers like these definitely makes our work gratifying. 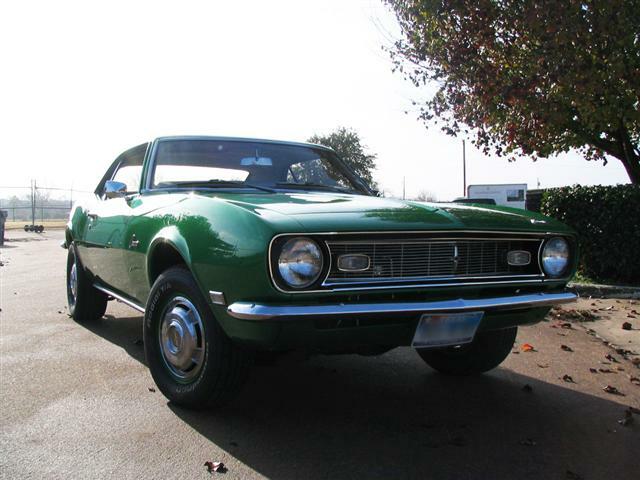 Do you have a 68 camaro,rally sport convertible? 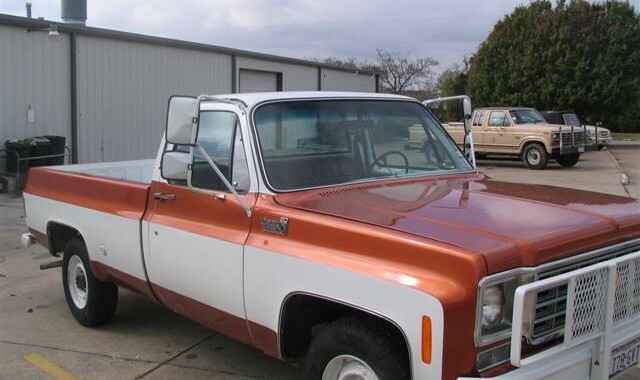 Hi Walter, thanks for your inquiry. 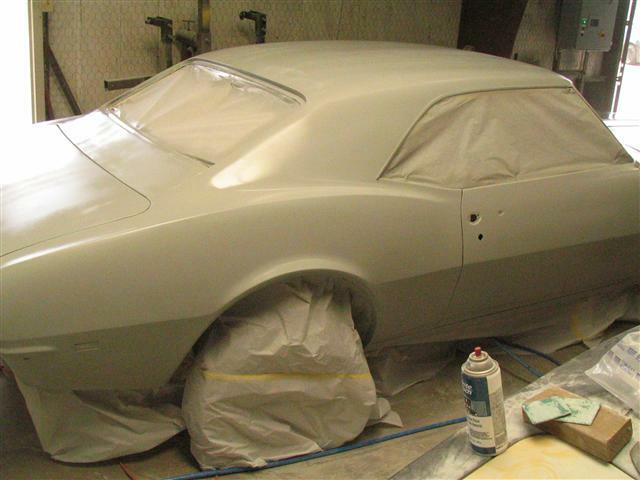 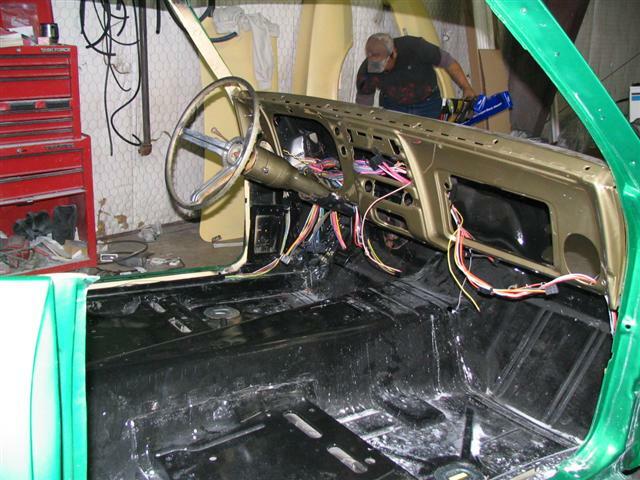 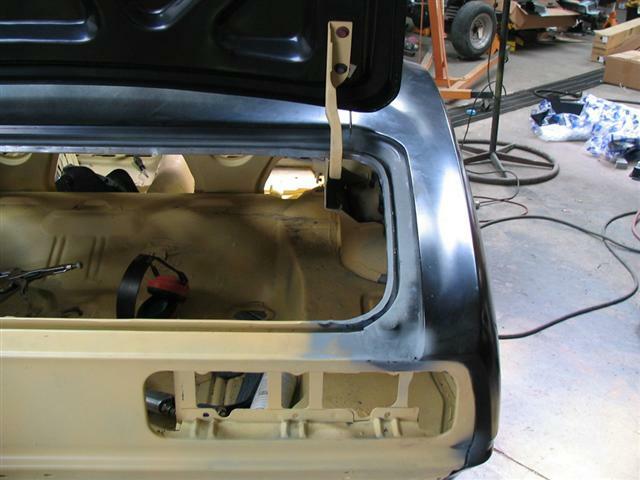 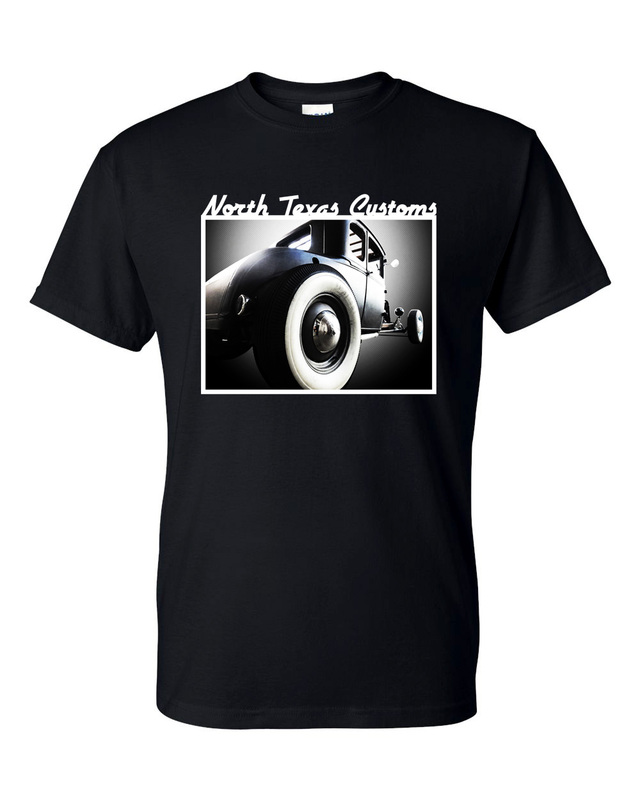 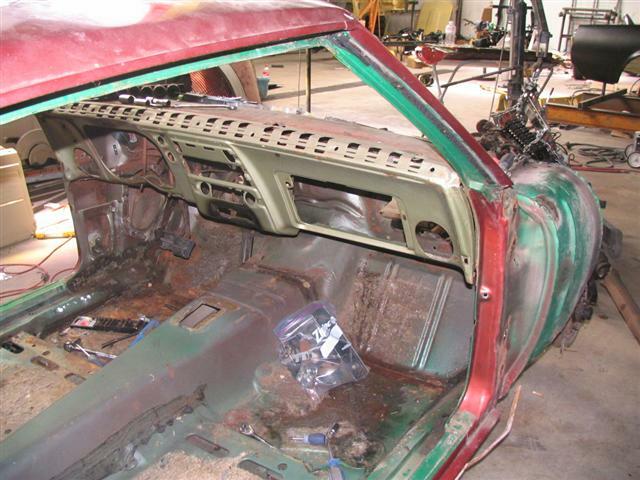 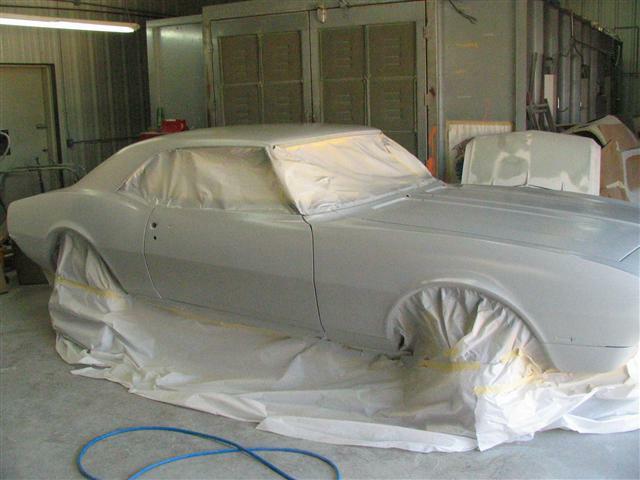 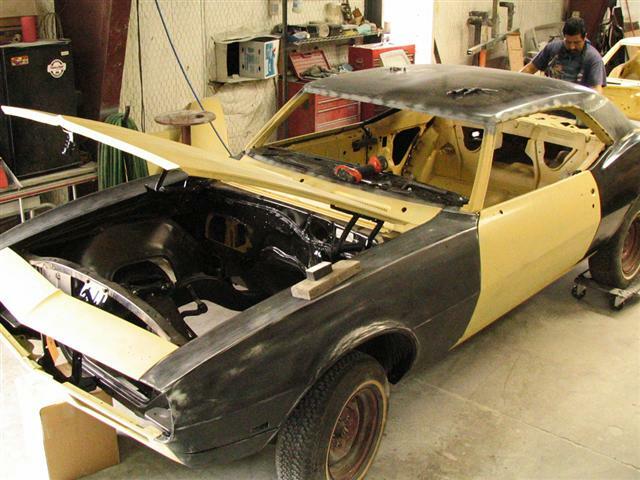 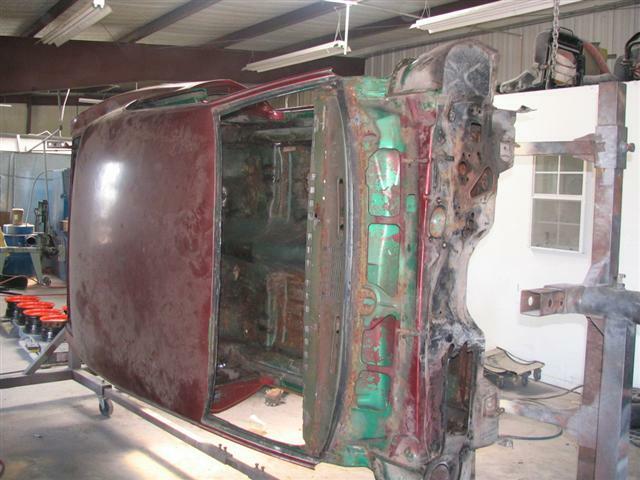 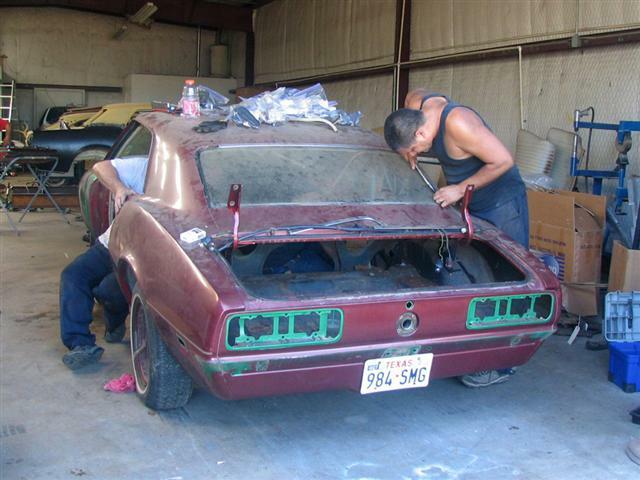 We don’t typically have cars available for sale; most of the projects that we work on are customer cars that they bring to us for restoration, repair, and customization. 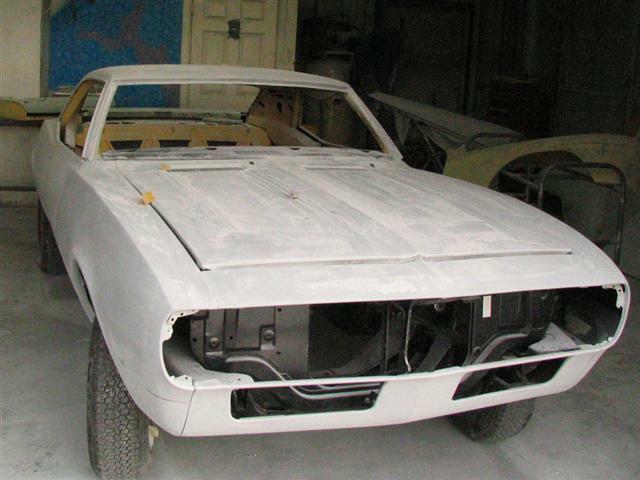 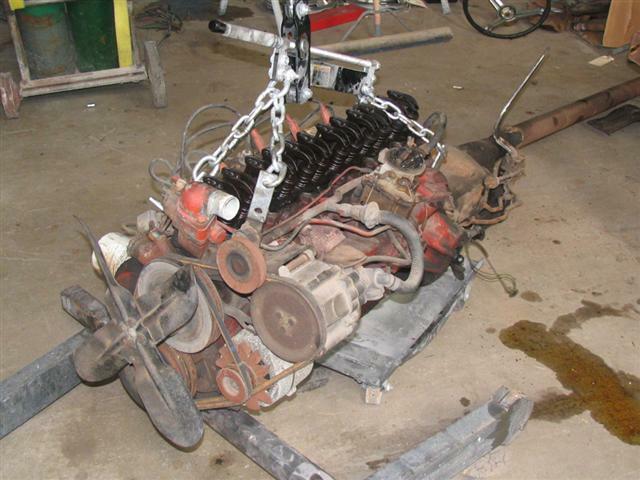 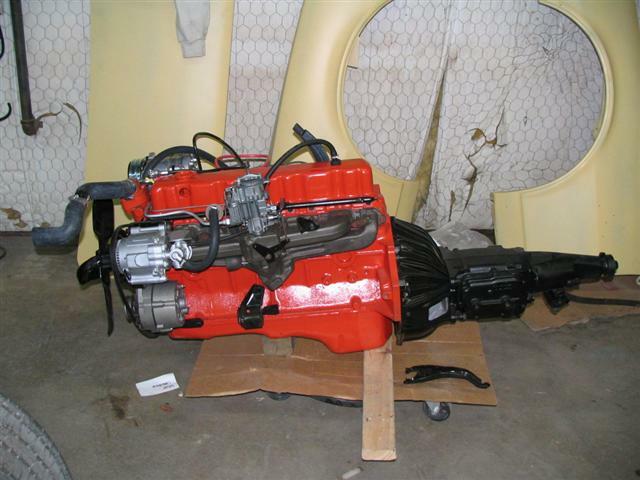 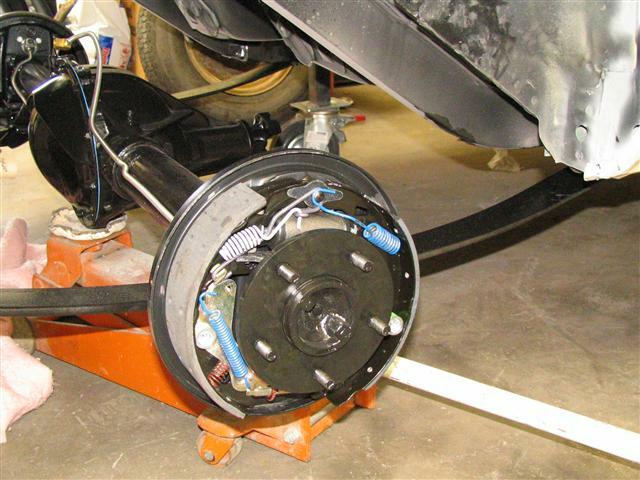 However we do on occasion help customers who are looking to sell or procure a project car. 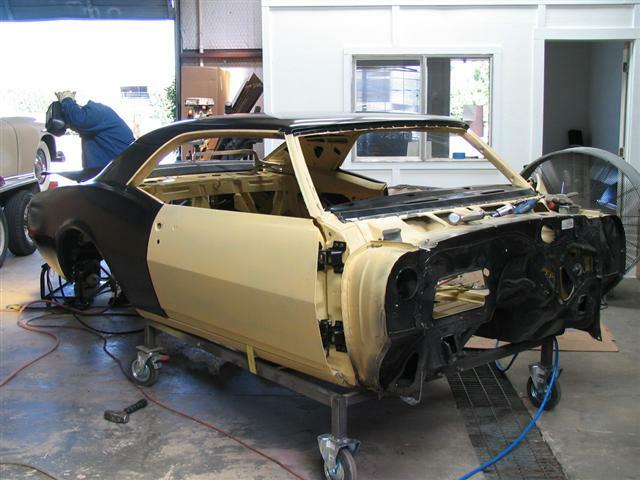 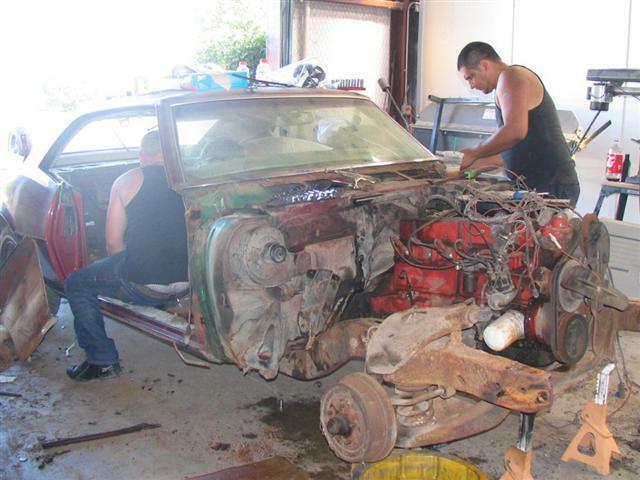 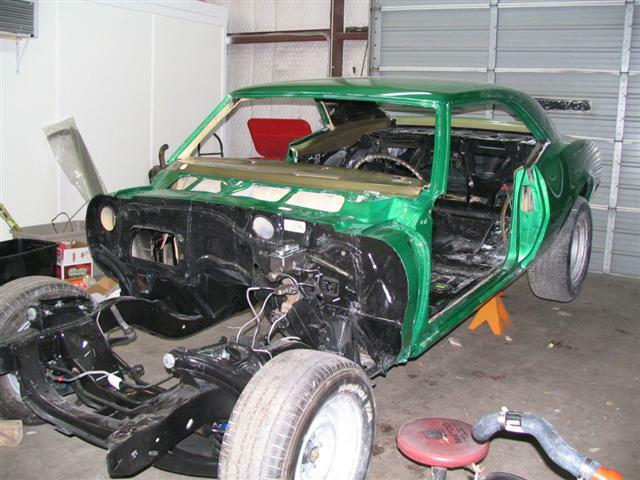 Let us know if you are in the market for a 68 RS project and we will keep you in mind for any that we might hear of. 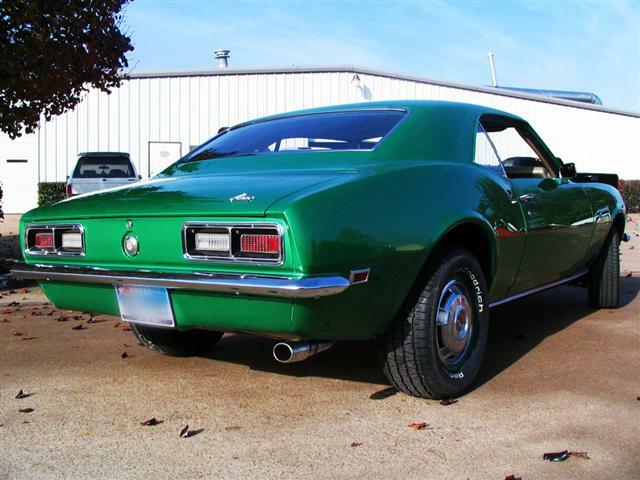 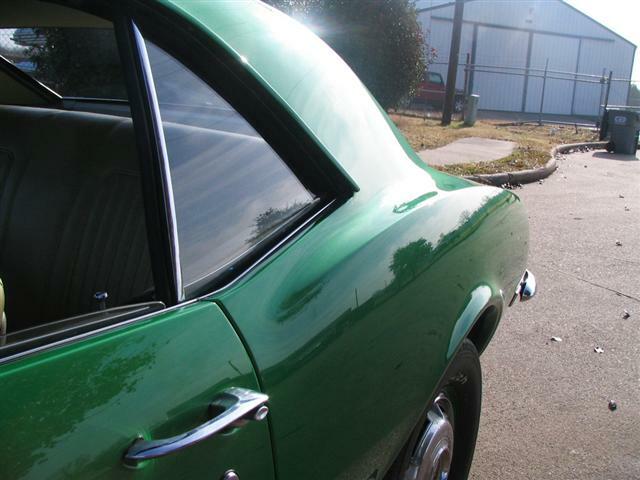 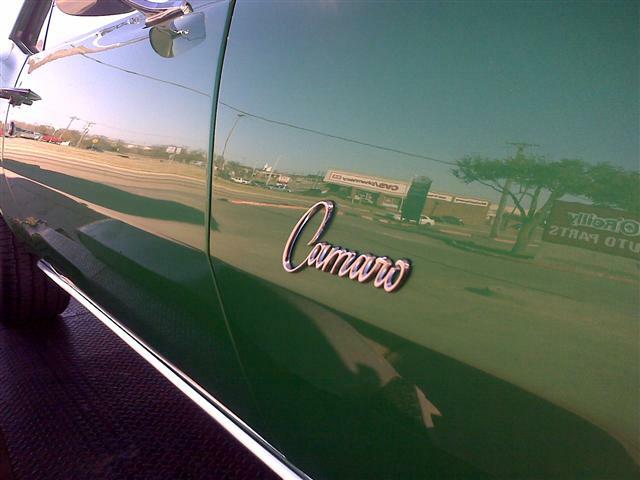 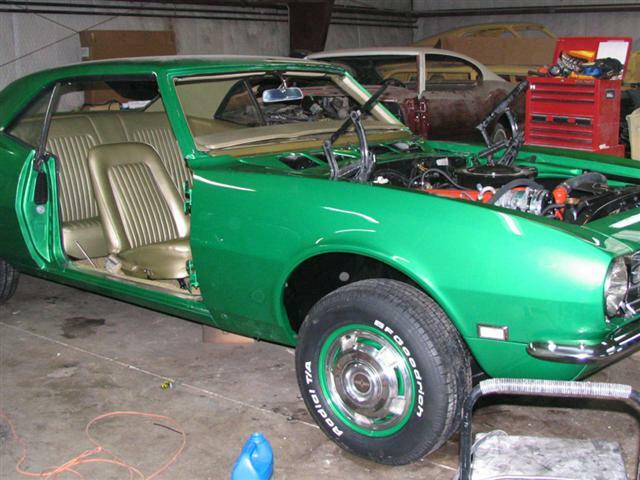 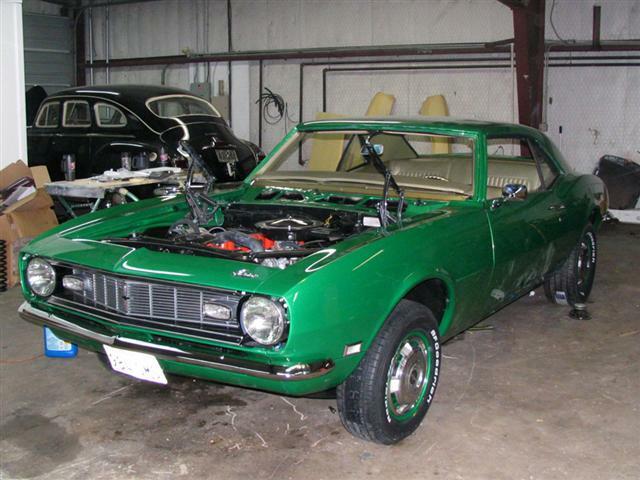 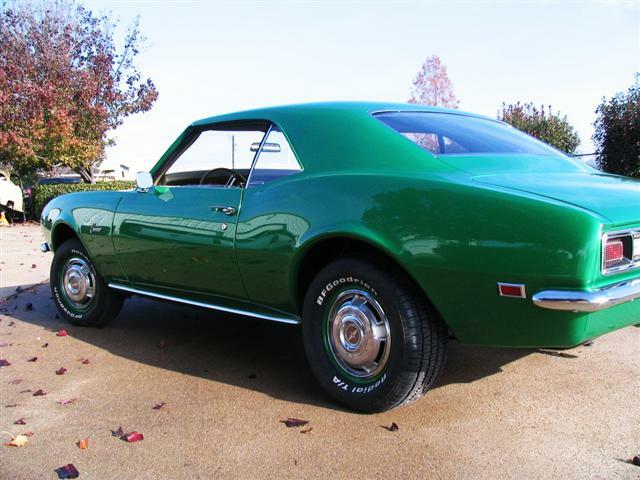 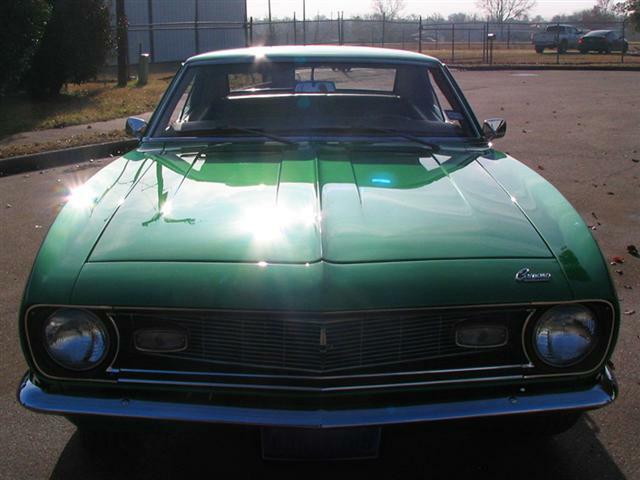 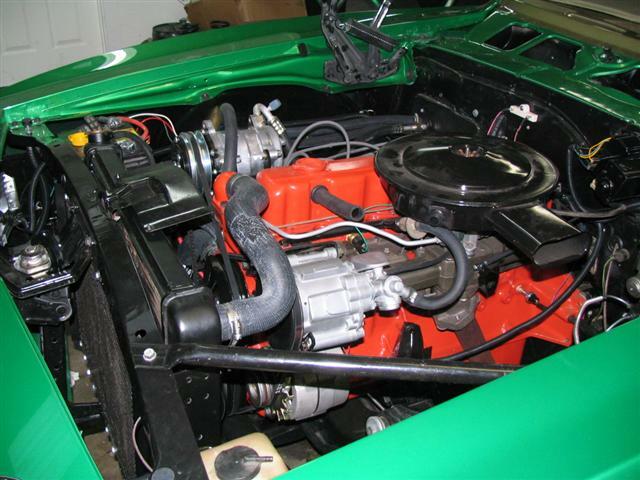 I have a 68′ the orginal color is rallye green and ivy gold interior the only difference is mine is a 350 powerglide car. 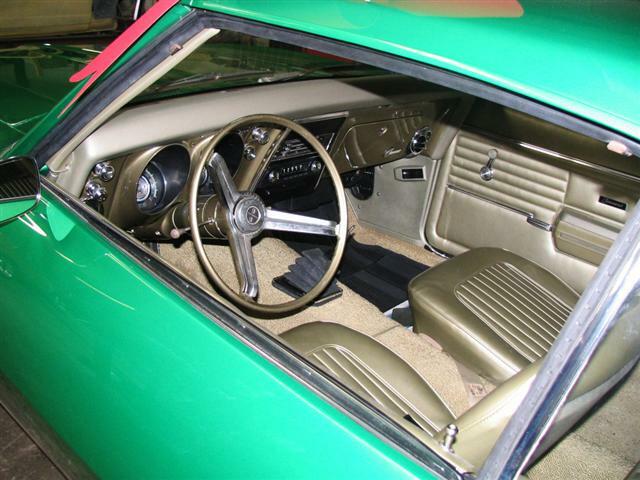 This is the first camaro ive seen with the green and gold interior. 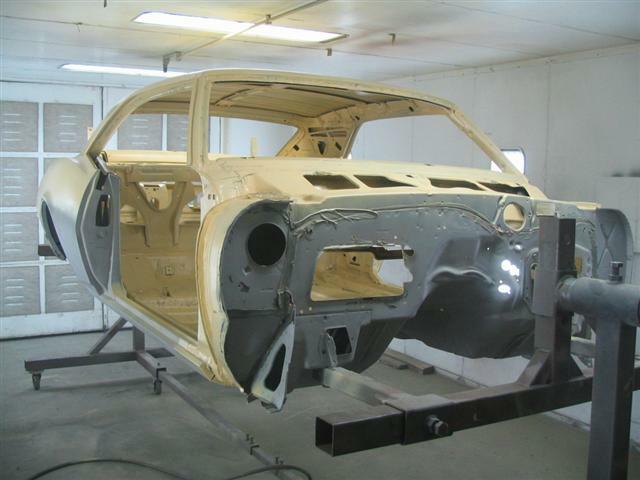 Awsome job guys! 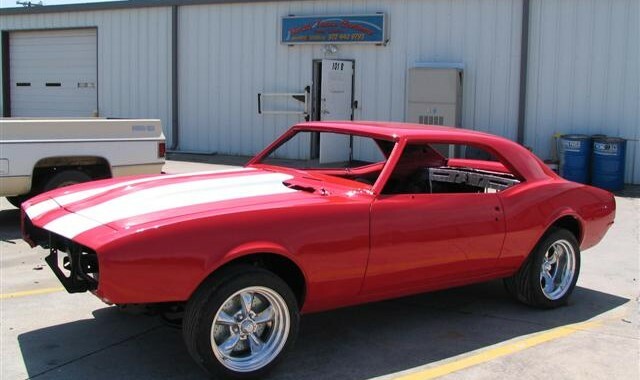 Very solid looking machine. 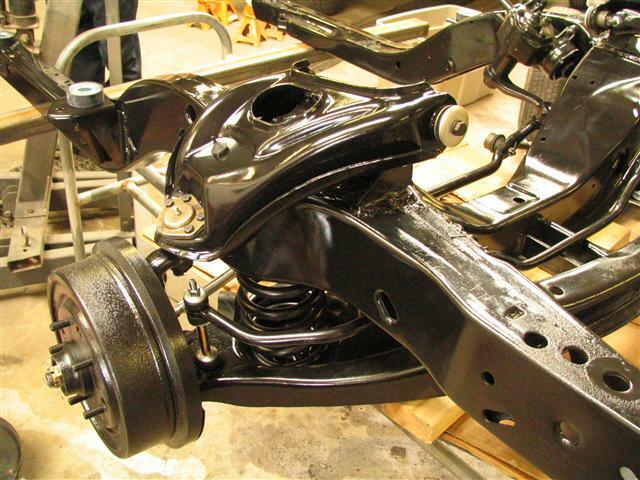 I love it, clean and functional.